The semiformal portraits of Stranger Passing were made between 1985 and 2001 in the United States. In these large (92 x 116 cm) pictures we see a very wide range of American types going about their daily lives. Taking his inspiration from the German portraitist August Sander, and in particular from Sander’s Three Peasants On Their Way to a Dance, Sternfeld captures his subjects in the midst of an activity that seems to give a clue to their identity. Commenting on the work in the catalogue of Stranger Passing as presented at San Francisco MOMA in 2001 curator Douglas Nickel wrote: “Sternfeld’s sociology therefore throws the question back at us, asking us to decide what we are willing to assume, on the basis of outward appearance, about the person standing next to us in the elevator.” Further commenting on Sternfeld’s portraits Nickel says: “Depending on where you stand, they can be taken as critical, ironic, and political, or earnest, straight-faced, and illustrative.” In these pictures the seeds of much what is transpiring in present day America can be seen taking hold. Attacked one night by four men attempting to cut off his beard, Palmer defended himself with a knife. For this he was jailed and given a ten dollar fine. Refusing to pay the fine as a matter of principle he spent the next 15 months in jail. During this time he wrote to the local newspaper and his published letters made him a cause célèbre. Upon his release from prison Palmer became part of the social circle around Thoreau and Emerson and he joined the radical and spectacularly unsuccessful commune, Fruitlands. By the time Palmer died in the 1870’s beards had become wildly in fashion. On Palmer’s tombstone a likeness of him with his great beard is sculpted in marble and we are told that he was “Persecuted For Wearing the Beard”. A historic text written by Stewart Holbrook in 1944 runs sequentially at the bottom of Sternfeld’s images, thus making this another work in the many text/image bodies of work that he has continued to create (On This Site (exhibited at Buchmann Galerie in 2009), Treading on Kings, When it Changed, Sweet Earth). Each participant in To Joseph Palmer was told the story of this crusader for freedom of speech and each agreed to participate in the project to honor Palmer and the right of all people to be free of persecution because of their harmless beliefs and practices. 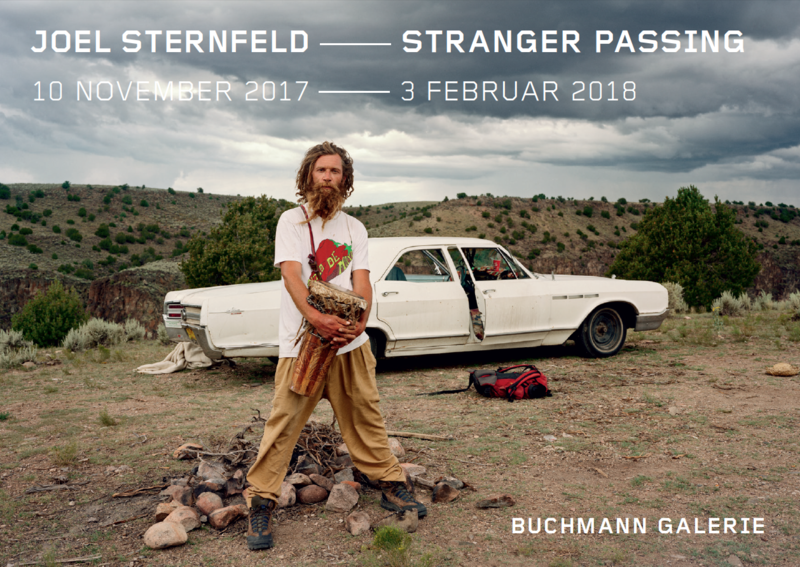 Im Katalog zur Ausstellung von Stranger Passing 2001 im MOMA San Francisco schrieb Kurator Douglas Nickel: „Sternfelds Soziologie gibt daher die Frage an uns zurück, da wir selbst entscheiden müssen, welche Vermutungen wir über die Person neben uns im Fahrstuhl aufgrund der äußeren Erscheinung zulassen.“ Zu Sternfelds Porträts sagt Nickel weiterhin: „Abhängig vom eigenen Standpunkt können sie als kritisch, ironisch und politisch oder als ernsthaft, unbewegt und illustrativ angesehen werden.“ In diesen Bildern ist der Ursprung vieler Entwicklungen zu erkennen, die sich in der heutigen Gesellschaft der USA abzeichnen.